Apologies for the lack of posts once again exam season is getting the better of me! But come 14th June I’ll be back to constant posts! 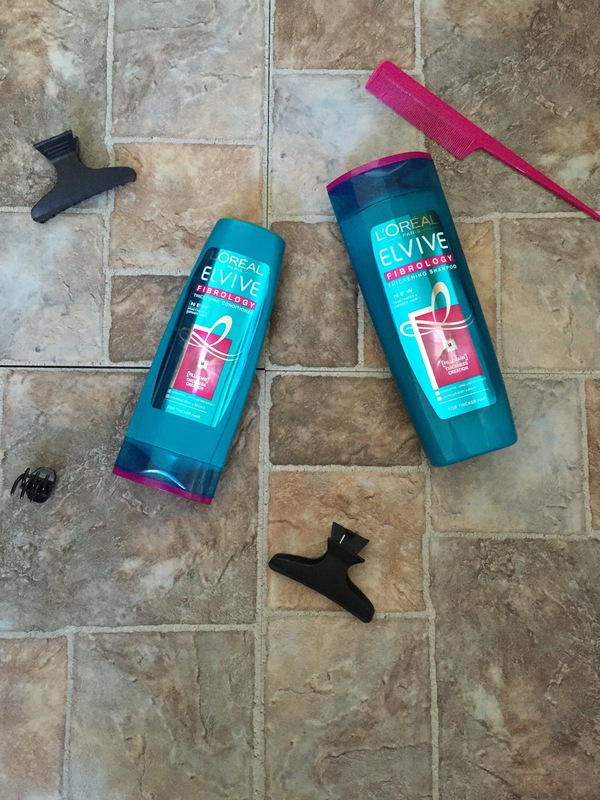 Today’s post is all about the much hyped L’oreal Fibrology shampoos! Now, I love a good blow dry, everyone who knows me knows this, I have naturally quick thick hair (thanks to my dad! 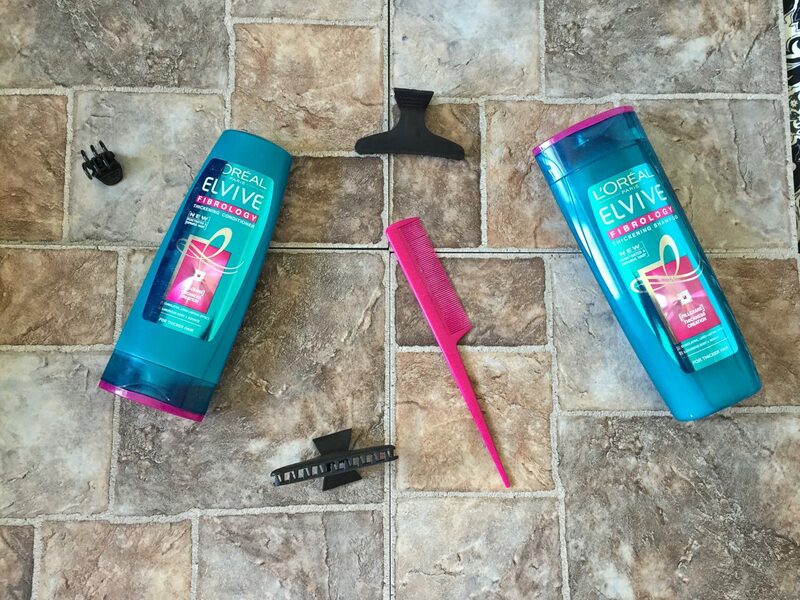 ), so when L’oreal launched the elvive fibrology shampoo and conditioners I wasn’t really interested in them because I’ve never really struggled with the thickness of my hair. However, after watching VelvetGh0st’s videos and hearing her review of them and seeing Blake Lively on the advert, I thought there’s no harm in me trying them out! Even though, I’d heard good reviews I wasn’t sure about whether they would actually work, many hair products nowadays promise all sorts of things and the results never show. The idea behind this range is to give you thicker hair, by expanding the thickness of each strand of hair, which I think is a really cool idea that I haven’t seen in a hair product before. I wouldn’t recommend the conditioner regularly in conjunction with the shampoo as it tended to weigh down my hair and it wasn’t drying the way it used to with the same bounce, it took me a few washes with both products for me to realise this. Now I’ve got my own routine of regularly switching up conditioners so my hair isn’t weighed down all the time. Honestly, the shampoo alone shows results on my hair after EVERY wash, I know I sound like a cliché advert, but its honestly true. The way my hair dries is so much better than it ever was before and holds styles so well. And that’s just on days where I use the L’oreal shampoo and a regular conditioner, so you can only imagine how good my hair looks when using the shampoo and conditioner together. I’ve mentioned my exams a few times (they’re literally my whole life rn), but since exam time is coming up quickly, I won’t have the time nor the effort to blow dry my hair, so usual exam season ends up with me leaving my hair as a wavy frizzy mess, but by using the Fibrology shampoo and conditioner, I’m more confident to leave my hair natural because it looks so much more healthier and holds my waves more. Basically, yes this Fibrology shampoo and conditioners are worth the hype and yes you should drop everything you’re doing and go and buy them. Off you go. I’ll be back with another post soon! I love this range! It’s always on offer in Boots too!